To someone like me who is used to fall and winter in Toronto, the weather here in Rome has been glorious so far, sunny most of the time with temperatures around 17C and trees which still haven’t lost all their leaves. However, just a couple of days ago, the temperature dropped to 13C, and its been windy and wet. When its like this, I feel like having soup. 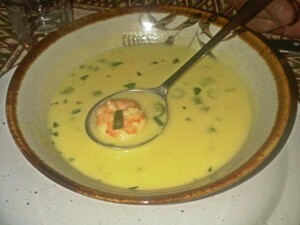 What better way to warm up ones bones than with a fragrant Thai soup? Alas, while ethnic restaurants are plentiful, genuine and cheap in Toronto, here in Rome they are less easy to find. Also, I make a good Thai shrimp soup myself so I went in search of lemon grass, lime leaves, galangal and fish sauce which are key ingredients. 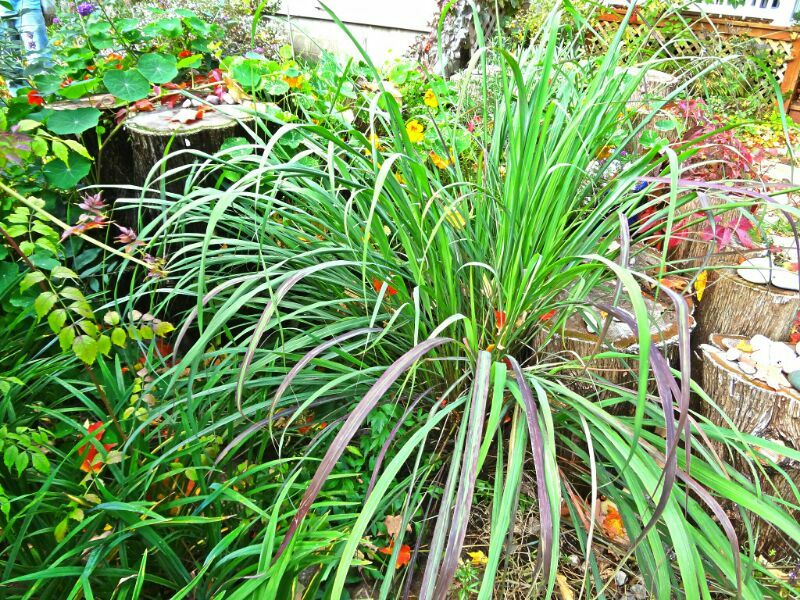 I’ve been using lemon grass for years but had no idea what the plant actually looked like until my sister and brother-in-law (the gardeners), grew some at their cottage in southwest Ontario (see above). As the name implies, it looks like a giant clump of grass and needless to say, the stalks when freshly picked are better than anything I’ve ever found in a store. 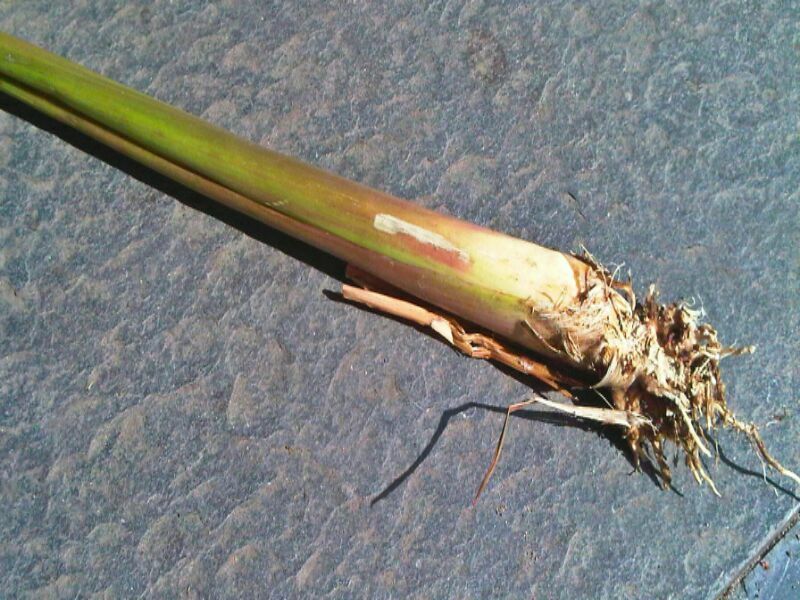 I hadn’t seen lemon grass in any of the stalls in Trionfale market in Prati where we often shop but there are a few vendors there who have some Asian vegetables so I asked one of them. He led me around the corner to his freezer which was full to the brim with galangal, lemon grass, lime leaves and other Asian herbs. Luckily, a store called Castroni, also in Prati, sells products from all over the world as well as Italy and I was able to get fish sauce. So, no problem making Thai shrimp soup. The frozen ingredients were not as fragrant as fresh but the shrimps were tastier than those we get in Toronto so the soup was still delicious and perfect for what may well be the beginning of winter. Shell and de-vein the shrimp (save the shells) and set aside. Put the shells in a stock pot, add 1 litre water and bring to the boil. Simmer for not more than 5 minutes and drain reserving the liquid. Return the liquid to the stockpot, add the lemon grass, galangal, lime leaves, and peppercorns. Simmer for 20 to 30 minutes. Strain and reserve the broth. Return to the stock pot, add coconut milk, mushrooms, saffron and chillie (leave whole if you only want a touch of hotness) and the white part of the green onion finely sliced. 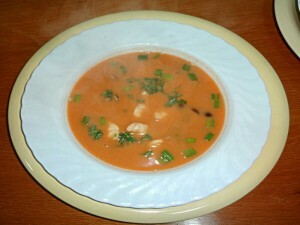 Add shrimp and simmer until the shrimp turn pink (about 5 minutes). Add fish sauce, lime juice, the green part of the green onion sliced, mix and serve. Can also be garnished with chopped green coriander if you like the taste. The Mediterranean shrimp I’ve bought here so far are packed with deep orange eggs between the head and body of the shrimp. I make sure to save these with the shrimp when I’m cleaning them. Not only do they add a nice colour to the soup but they also enhance the taste considerably.